Professional Qualifications: Solicitor in England and Wales – Admitted 1977, retired 2017. Academic Qualifications: Liverpool University - LLB (Hons) Part II Qualifying Examinations. Practice Areas: Trusts, Tax and Estate Planning, Corporate and Commercial. Memberships: Law Society of England and Wales, Society of Trusts and Estate Practitioners, Association of Contentious Trust and Probate Specialists, Associate Member of the Isle of Man Law Society. John Moxon Clabon prizewinner and winner of the New Inns Prize. Author of the Isle of Man chapter in “International Trust Laws”. Jonathan Smalley had over 30 years experience working in the legal profession. Prior to establishing Stuart Smalley & Co LLC in 1995, Jonathan was a partner in Jaques & Lewis. Jonathan practiced in all areas of trust, tax and estate planning, company commercial, corporate and banking law. His particular specialisations were acting for high net worth individuals in all aspects of trust law and tax and estate planning. 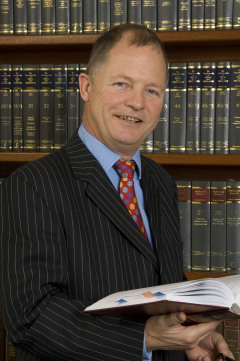 Jonathan was particularly experienced in dealing with “trusts in crisis” and had acted for both trustees and beneficiaries in matters where difficult issues had arisen including where the matter has ultimately gone before the Courts both in the Isle of Man, the United Kingdom and other jurisdictions.